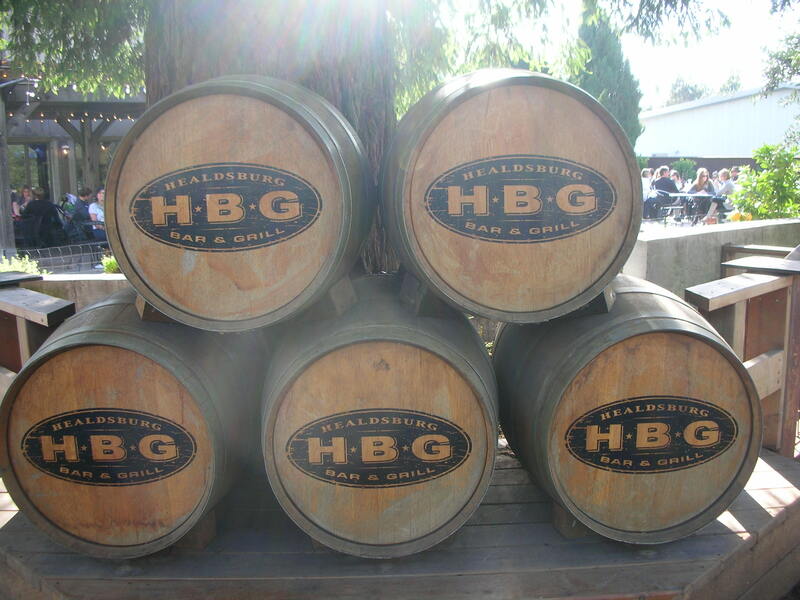 This past weekend we took a small trip to Healdsburg, a cute wine town located in northern Sonoma County. Sonoma County and the city of Sonoma, where Anglo Americans revolted against Mexican commander Mariano Vallejo and declared a free California Republic in 1846, is generally pretty rustic. You usually don’t see the limos and hoards of drunk city folks that can be found in Napa. 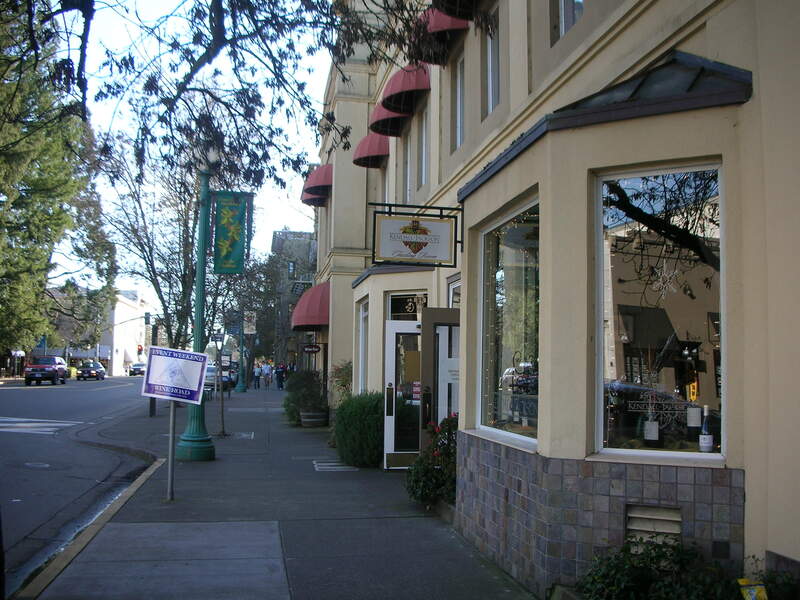 But Healdsburg stands out as being a Napa-ish city in simple Sonoma County. It’s still quieter and more low-key though than what you’d find in next valley over. 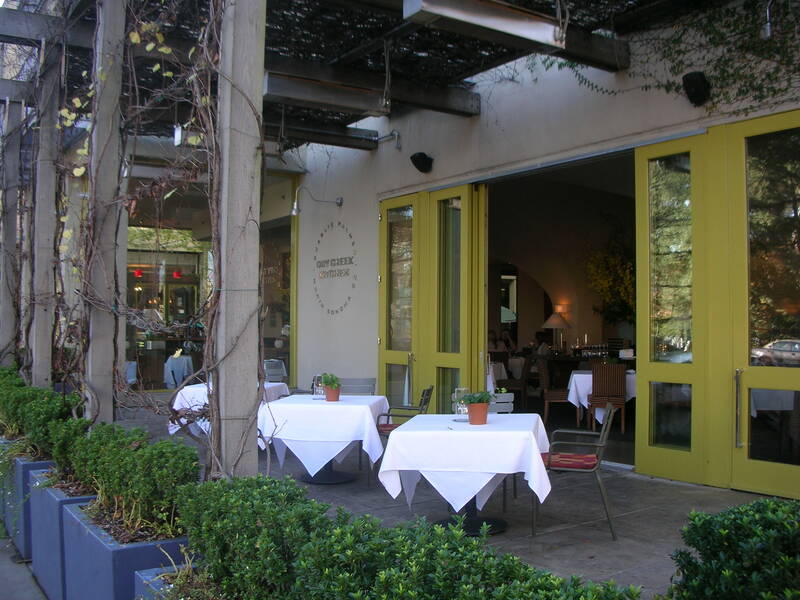 Healdsburg has all the requirements for a weekend getaway. 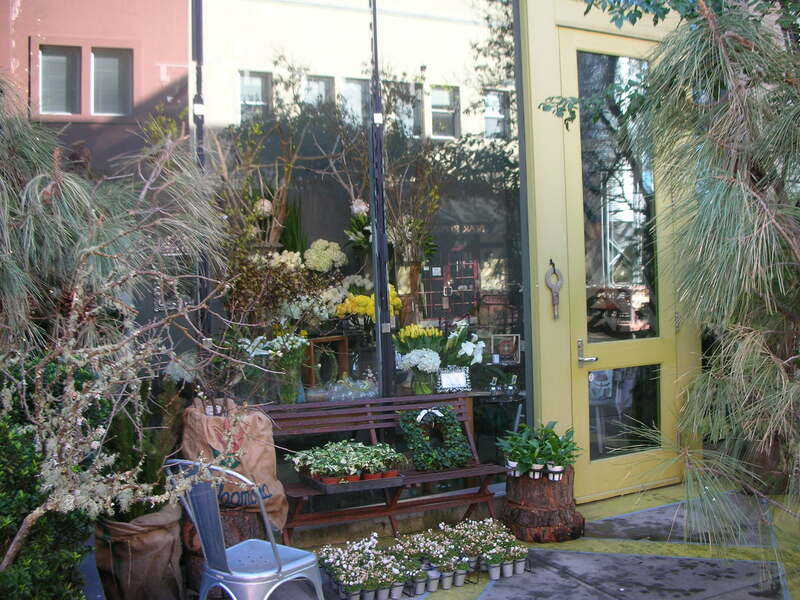 Boutique shops selling overpriced and frivolous, but that you still covet, merchandise? Check. 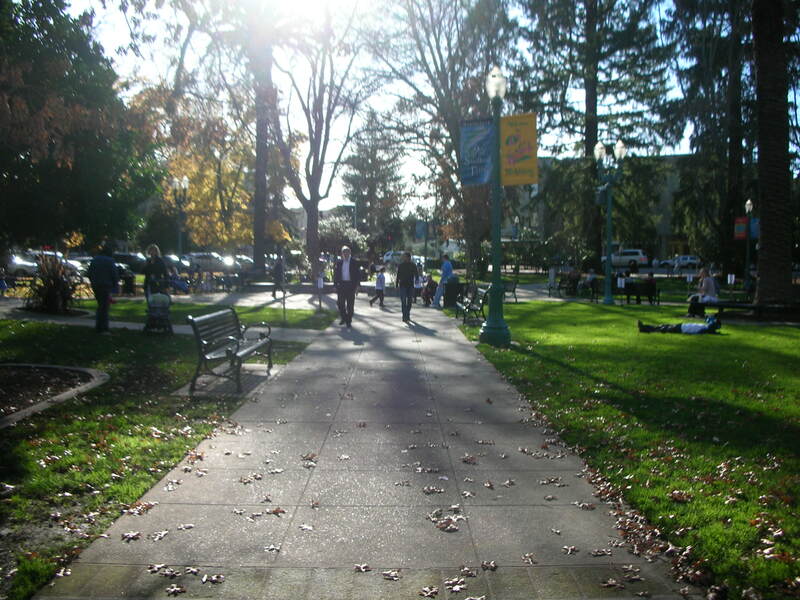 A park plaza in the middle with people laying on the grass and the random creepy man? Check. Restaurants with patios? Check, check and check. 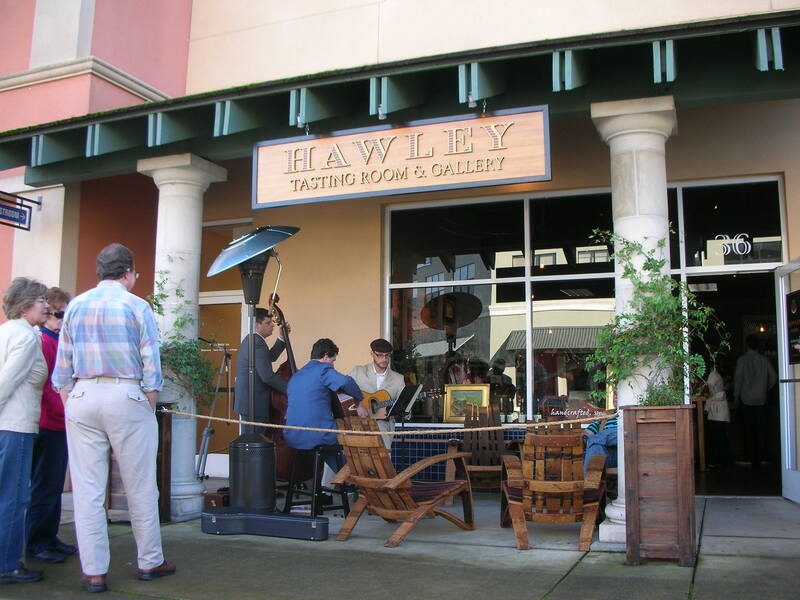 This being wine county, Healdsburg is also full of tasting rooms. This particular weekend was Winter Wineland, an event where attendees purchased tickets and in return received tastings, tours and food pairings at participating wineries. You can see a sign for it in the second photo below. We saw people holding wine glasses going from one tasting room to the next. 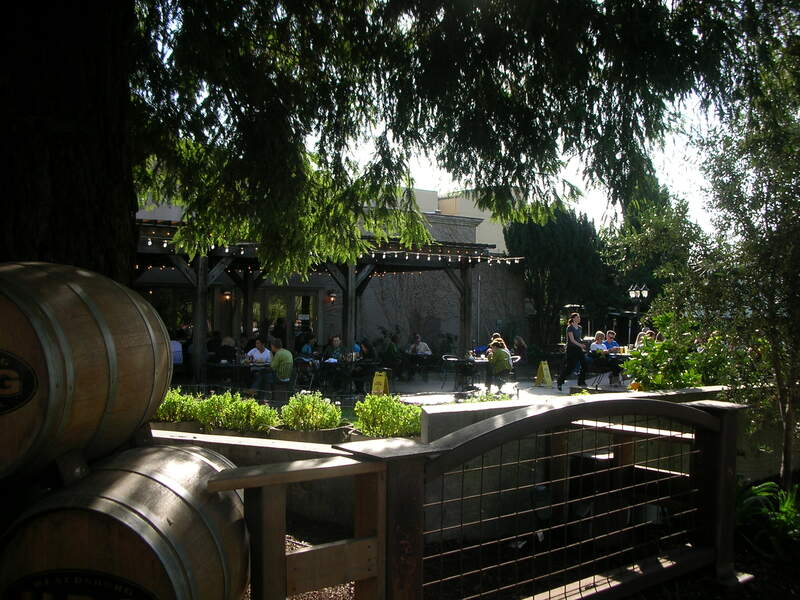 We couldn’t really afford to eat at Dry Creek Kitchen without having a special occasion to justify it, so instead of sitting in the lovely patio of Dry Creek Kitchen, we opted instead for Healdsburg Bar & Grill. They have a large patio that gets packed when the weather is nice. Hubby had a mushroom soup, I had a burger and we split a basket of fries. 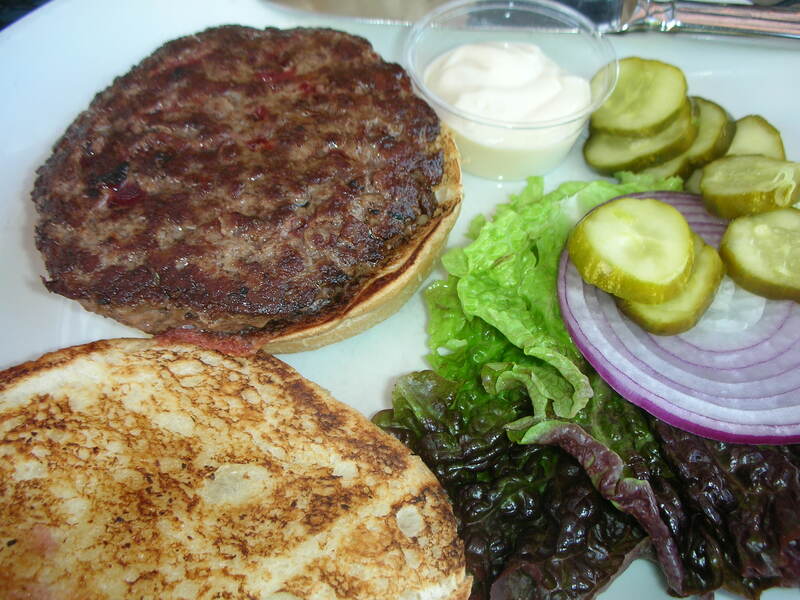 The burger was superb. I could see the juices flowing around on the meat. We did venture into one antique store, which Healdsburg has several of, to see if we could find any unique furniture for our apartment. The minute we walked in I wanted to run out due to the musty smell. I continued browsing though to be a good sport. Didn’t end up getting anything. After Healdsburg, we drove through Dry Creek Valley to the Sonoma Coast – next post.